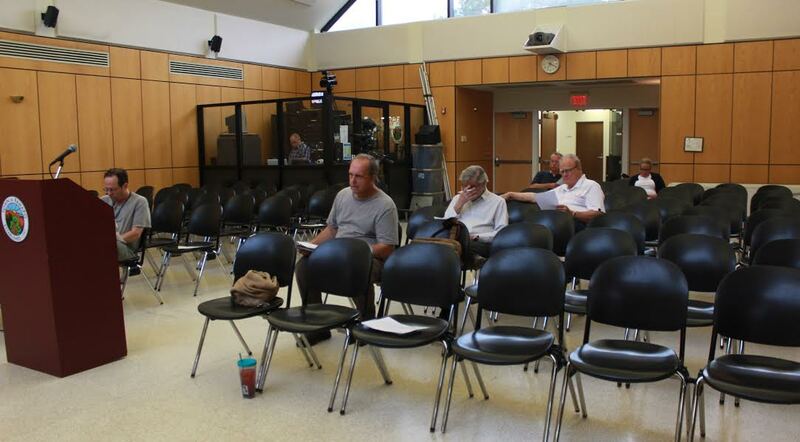 Rockland’s Local Development Corporation (RLDC), whose former members were found by a jury to have conspired to mishandle town funds, were officially shown the door Wednesday, July 12, by the interim Supervisor Yitzchok Ullman and the remaining Town Board members. Ullman told the near-empty room the Town Board will take up the mantle of the RLDC, with Ullman serving as interim president. Attorney Michael Klein told those in the room the town board had the authority to merge the RLDC with it, thereby eliminating duplication of efforts and what Ullman described would be a “transparent” change for the community. The new RLDC will eliminate two paying jobs that existed under the former LDC, saving the town about $250,000 a year and the Board will serve as LDC members gratis. Ullman also said former LDC attorney John Phelan will be replaced by Kraven Levin, as well as appointing John Lynch as Treasurer and Christian Samson as Secretary. It will also merge the town’s and LDC’s insurance to save money. The new RLDC will also assume the $25 million the former LDC still owes on the bonds for the ballpark. With no firm numbers on how Ramapo stands financially, it may come to pass that residents, who didn’t want the ball park to begin with, may be footing the $25 million still owed on the property. Resident Robert Rowanowski asked the board to consider a law to protect trees, “which seem to vanishing from our landscape” and to put a halt to Planning Board approvals allegedly given to projects not complaint with the law. Many have urged the new LDC to appoint Rowanowski to it as an advisor. Republican Bill Weber was on hand. He will be running against either Democrat Michael Specht or rival Dem Scott Goldman for town supervisor in November. Until then, it will indeed be the same board, sans St. Lawrence, running the show.